Industry Experience : Over 14 years in Wood Panels, WPC materials HARDY SMITH since 2011. Education : LDCE, India, BEng Plastic Technology. Content writer - Construction, Interior, Wood Industry magazines. Known as 'WPC Man of India'. Instrumental leader in launching, promoting and developing the wood polymer composite sector in India and abroad. He has been working for the wood and allied industry since one and half decade. He has played a vital role in Advisory projects for Particle boards, Medium density fibre boards and Modular furniture facilities. Wood based panel technology has been a master domain for him. He has been working on Wood waste and agriculture waste based thermoset polymers. Projects and application development as his key area of Interest. Since 2011 as a founder of HARDY SMITH he has dedicated his knowledge and experience to WPC Industry. As a turnkey project delivering company into Wood plastic composite sector has installed many projects in India. 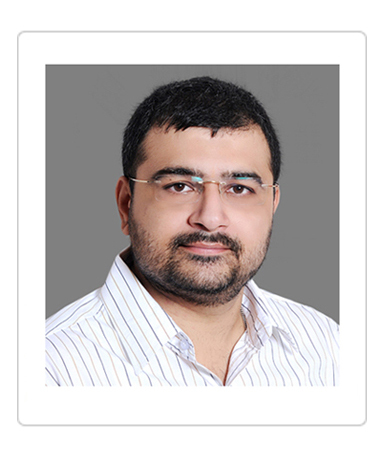 As a technology and business advisor he has been a main channel for this industry since more than 8 years now. WPC CENTRE is a known entity in India, which is operated by HARDY SMITH. It's a first application showcase in India for spreading education, awareness and application know of WPC products. He is a known WPC product trainer to sales teams of new entrants companies in the WPC sector.